The movie spin-off action show, Fast and Furious Live, races into Belfast’s SSE Arena this weekend. It promises to be a spectacular thrill ride, featuring recreations of the cars and stunts that turned the franchise into nirvana for petrol heads. Make no mistake. If you ever lived your life a quarter mile at a time or fretted over blowing the welds on the intake, this is unmissable stuff. 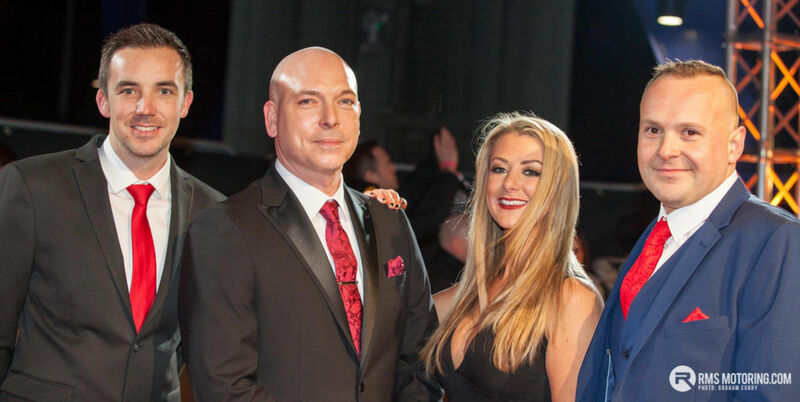 Check out our previous reviews: RMS has been fortunate to review the show in press form and be invited to the London Premiere earlier this year. This isn’t just another Hollywood scale production taking a pitstop in Belfast. 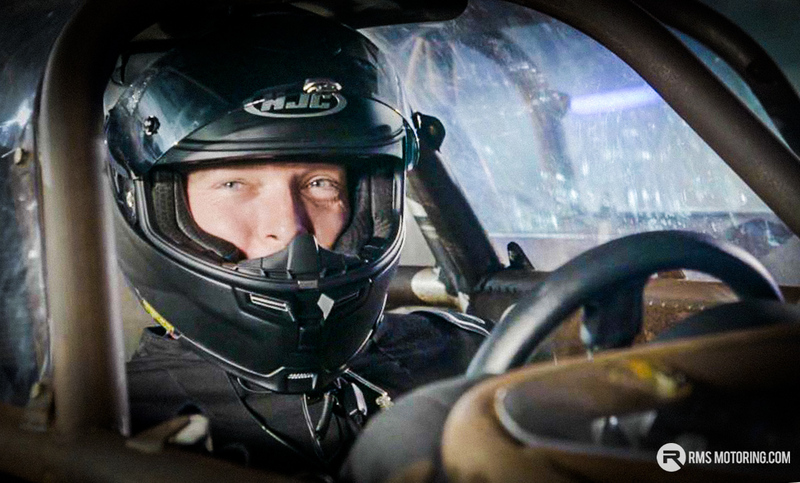 One of the driving forces behind Fast and Furious live is Fermanagh man and long-time RMS Motoring Member Chris Burns. Yes, the forum stalwart is a key figure behind this behemoth and has been instrumental in bringing this show to reality. I met up with Chris shortly before he was about to fly out for another show, to get the inside track on what it takes to put on an event of such a scale, and how he got involved. AC: Chris, what’s your role in Fast Live? CB: My title tells me I’m head of vehicle procurement and lead stunt driver. Basically that means that everyone you see driving the cars in the show, and the cars in the show are my responsibility. I was involved in the production from the beginning along with four others. Firstly my part included sourcing all the various vehicles we needed along with the many parts which would allow us to transform them into the cars we and any Fast and Furious fans know and love. Secondly, I was tasked with designing the process which would allow us to find the driving talent required for the show from the application stage right through to training, ensuring everyone was ready for our world premier in London’s O2 Arena. AC: How did you get involved? CB: It’s been a series of fortunate circumstances, hard work, and forging relationships with the right people over the years. My firmly held dream was to become a professional stunt driver. Clearly, not the sort of job you see advertised in the Fermanagh Herald! One of my first brushes with the ‘big time’ occurred when Max Power magazine descended upon Bangor in the late 90s. I was there in my E36 M3 and let’s just say certain performances from me and some friends resulted in a request to perform at the magazine’s live shows. That’s how the Steer from the Rear display team was born. Steer performed at shows throughout the UK and Ireland for nearly a decade, but with the rise of the likes of drifting and the downturn in the economy, and change of priorities in the team meant that we went our separate ways. I’d made some great contacts through what was a massive show scene. Max Power was one of the biggest names in Europe, and when we were asked to appear on Top Gear it helped forge relationships that really helped get me where I am today. AC: So you ended up working on Top Gear? I was at a Top Gear Live event in Dublin, actually run by one of the ex Max Power guys and at the after event I was asked if I would ever like to work with Jeremy and co on their live show. “Absolutely” I said emphatically. And after that I didn’t hear a thing for about a year, until one day I got a phone call. Next thing I’m touring the world as part of the Top Gear Live show with Jeremy, James and Richard along with Paul Swift and his stunt team. There I had the pleasure of working with the show’s director Rowley French, who is our director on Fast and Furious Live, so I must have done something right! AC: So Fast and Furious Live – how did it all start? CB: The idea for the live show? That depends who you ask, but certainly it was our director Rowly who put pen to paper. Over a number of weeks he wrote the storyboard for the live show as an extension of the Fast franchise. Then a pitch was put to Universal Studios. Rowley brought me on board with a view to managing the cars and building the driving team. 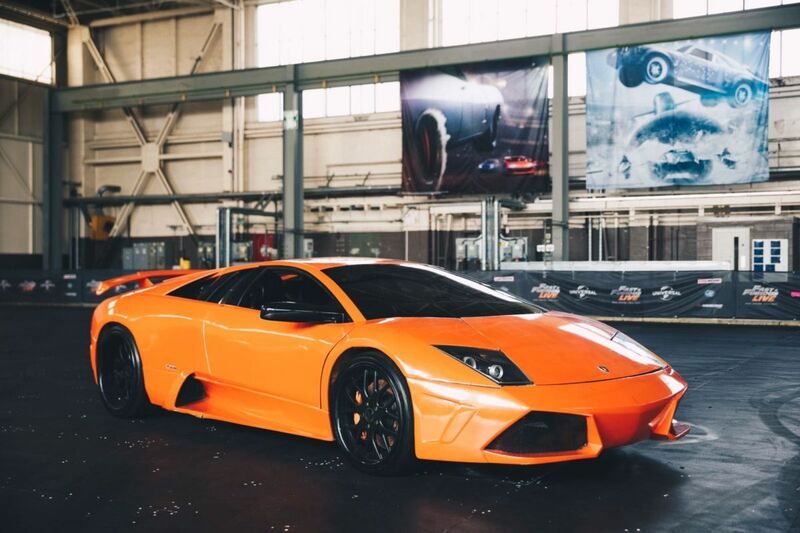 The project had been in the pipeline for years and in between times Top Gear Live ended. I personally had everything at risk as we waited for the green light from Universal. AC: That must have a stressful time! Yes, I had put myself into an awkward position. I was chasing the dream of the show I couldn’t tell anyone about and with all the travel required I really couldn’t commit to a 9-5 job. Who would give loads of time off to go be a stunt driver after all? Even my personal life was under huge pressure whilst we waited through long planning sessions and false starts. We did a lot of work around how we would source cars and build the stunt team, but couldn’t do anything much until we got the word. It was just before Christmas in 2016 we got the news and I remember so clearly getting the call from LA saying we are good to go. A mixture of excitement along with the stark realisation of the immense challenge: now we really have to make it happen. AC: So where did Fast and Furious Live begin? The norm for this type of show is to bring in established stunt drivers. Whereas we wanted to build our own from scratch and no production of this scale, not even Disney, would take such a risk. There was some uneasiness about what I had to deliver and the responsibility rested on my shoulders. Driving in a tight arena with several other cars, to be in time with a story, lighting, special effects – the co-ordination of the team has to be exact. Someone actually summed it up as like a different kind of Kung-Fu. Almost simultaneously I found myself having to source 42 unique cars for the show, and a team to drive them in short order and put years of planning in motion. 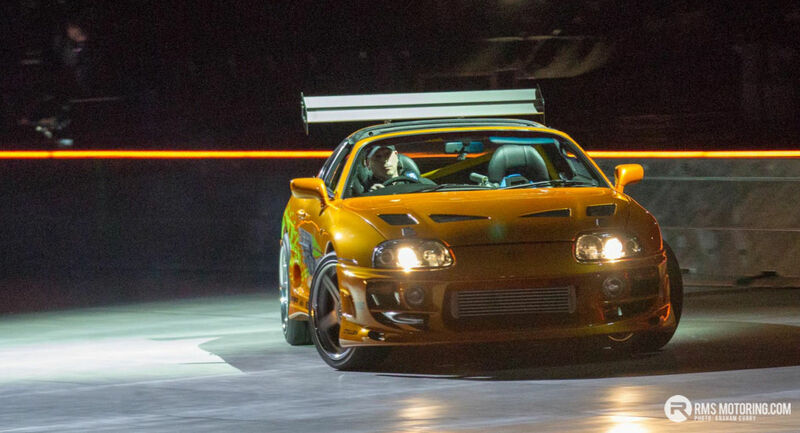 The live show segments dictated what cars we needed, from Brian’s Orange Supra to Owen Shaw’s flip car to the Tokyo Drift Cars. In fact finding the three Civic Coupés [from the heist in the first movie] was one of the most difficult tasks, never mind finding parts for them! AC: Describe a typical week working on this embryonic show? When I wasn’t on a plane literally searching the earth for these iconic cars, I was back in England helping set up a workshop to get the cars ready, and kicking off a substantial recruitment drive to build the stunt team. We advertised far and wide and had over 2,000 applicants. The initial office based interviews were under heavy Non-Disclosure Agreements which was probably a strange experience for many who I spoke to and I couldn’t tell them what the show was about. From this huge number there were only 10 driving jobs, plus myself as the 11th man. At this stage we had our base near Heathrow, and we had people flying in from the world over for an opportunity at a job they knew very little about. Most didn’t make the cut for many reasons, one of the main being the time demands of the show. It entails being away from home most weekends of the year. AC: Did the drivers get training or was it a matter or diving straight in? 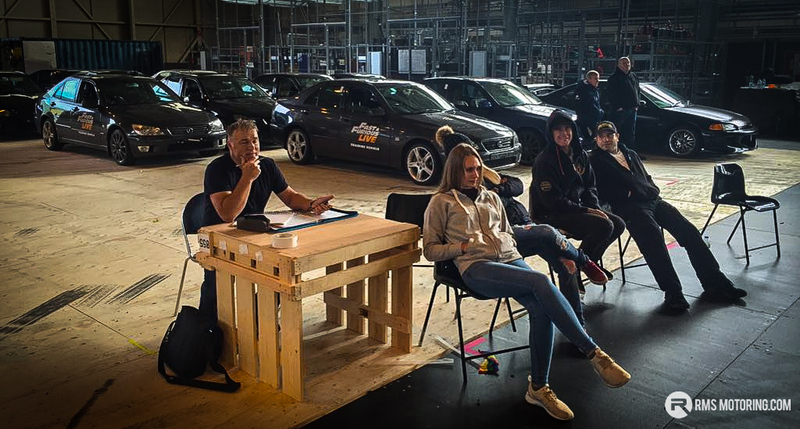 After a face to face interview then the shortlist were taken to a rally school in the midlands and given repetitive car control challenges in both rear wheel drive and front wheel drive cars. Some of the drivers we had through our doors are phenomenal names in their field of say drifting or rallying, but couldn’t bring the discipline of consistent car control to the confined areas and types of cars we had in mind for the show. We were looking for excellent car control across a variety of vehicles, ability to follow detailed instructions on your own for minutes at a time. Have the stamina and mental capacity to be able to reproduce exactly the same manoeuvres eg donuts, slaloms, J turns, in the same space consistently. And have some level of mechanical sympathy, remember these cars have to do three shows per day, although the rally school cars were Micras and Mk2 Escorts! From this we had the list down to 67 applicants for the 10 jobs, and we then held an X-Factor style knockout event at the NEC over two days, and this for me was one of the toughest things I had to do certainly on the staff side of the event. The standard of driving at this stage was staggering and certainly putting myself in the shoes of these could-be Fast drivers they were starting to build dreams in their own head about what lay before them. I was well aware I could be destroying their dreams and so this made me determined to give everyone a fair chance and make the process as transparent as possible. I should point out that there was a tremendous team working on this, Rowley French our director and real visionary, Andy Jackson our lead mechanic, Naomi French, a choreographer and performer. Colin Sangster our choreographer is just world class and brought his skillset from the world of ballet to the movement of cars, designing the live sequences to the second. They all helped take that 67 down to the final 10 drivers. AC: And the other stars of the show, the cars? I had those 42 cars to source, many of which weren’t available in the UK or Ireland. I gave myself a month to acquire the cars. I had years of planning to fall back on but making it a reality was much more difficult. I called everyone I knew and didn’t know that I thought would give me a lead on a Fast car, all without telling them why. Like using AutoTrader blindfolded. Speaking of Autotrader, have you ever looked at the US version? It felt like I was looking through millions of cars. Universal [Studios] had some of the great stuff kept for us, including some of the movie cars such as the Street Chargers, the Lambo, Ice Charger and the flip car. Dennis McCarthy in LA built several of the cars as he does for the movies which meant we had access to some very special stuff. The very last car I bought was the S2000 from Snetterton circuit. It was a rolling shell and I picked it up on a miserable day with my van in the driving rain… but I couldn’t have been happier to make that call back to HQ and let them know it was the last one. 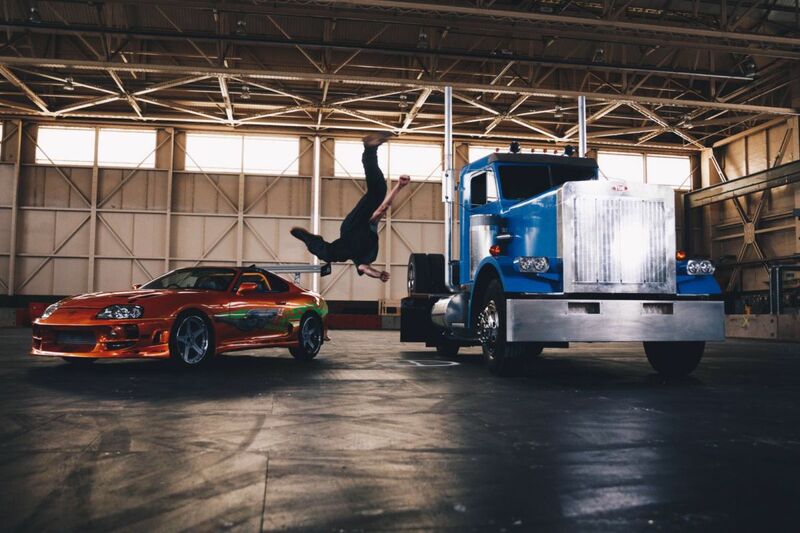 We hope to meet up with Chris soon for the second part of this article where we’ll catch up on the driver and stunt training for the show, and the builds of the various range of cars that form part of the Fast and Furious Live lineup. I’d like to thank Chris for taking the time to meet up as part of what is undoubtedly a very busy schedule and wish the production all the best of luck. Fast and Furious Live comes to Belfast’s SSE Arena on 4-6 May 2018. Tickets for Fast and Furious Live are available now from Ticketmaster and further information is available at fastandfuriouslive.com. Good read, looking forward to part 2 and now the show. Excellent write up there Andy and a very interesting background, more than i expected after Steer from thr Rear days! You've had some time of it Chris and fair play to you sir as you didnt get there for no reason (y) Hope the show goes well and continues to do so over the tour. Fascinating read. I’ve only met you once briefly at the RMS 10 year show Chris, but I strangely feel very proud! Great read. Living the dream Chris!